When Our Companions received the Ashford Sanctuary property in 2002, it was home to an abandoned, dilapidated factory farm. The site contained the three biggest buildings in Ashford which, when combined, measured 98,000 square feet (nearly the size of two football fields!). 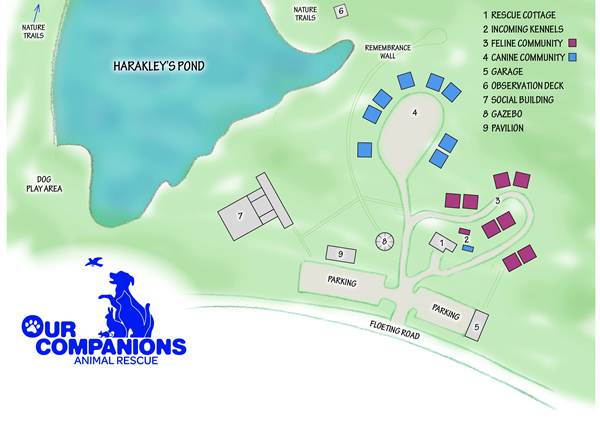 In 2007-2008, Our Companions raised $300,000 for the “Demolition Phase” of our capital campaign. The purpose of this initial capital fundraising phase was to remove the factory farm structures - which were not only an eyesore for the local community but a hazard to nearby residents and the environment alike - and embark upon the extraordinary task of restoring the land.